One thing I’ve learned over the years is that even the most difficult sounds or words in English have a ‘shortcut’. A little trick or specific practice that makes pronunciation smooth and simple. I always try to find those tricks, especially in difficult words to pronounce. When it comes to the word ‘clothes’, I just love seeing the look of relief on their faces whenever I give my students the following tip. 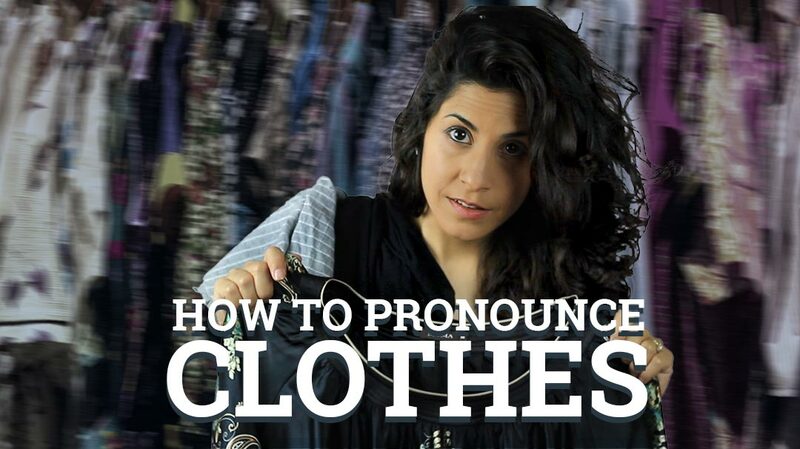 Get comfortable, and learn how to say ‘clothes’ simply and clearly. By the way, if you stick to the end you’ll learn the difference between clothes, close (as in ‘close the door’) and close (as in ‘close by’). Or perhaps you need some tips on how to pronounce something?